Affordable Charlotte Town Car Service, The Carolinas’ most professional, dependable, and affordable provider of luxury cars and specialty transportation. Whether you need to get from the CLT airport, to an important meeting or whisked away from your wedding reception. We have the car for you. Note: If you need a reservation in the next 48 hours please call us. Whatever the need, whatever the event, we’ll get you there. On time. Safely & In style. From an elegant Towncar to a luxurious motorcoach and everything in between. If you have a place to go and a way you’d like to get there, we’ll make it happen – in style. Use our online reservation form to customize your experience. Use the contact form for general questions. If you or an important associate or guests are arriving at the airport and need dependable transportation to a hotel, meeting place or home, let us know. We’ll be at the airport – on time – and ready to drive you or your guest where you need to be. In comfort. In style. The comfort and luxury of one of our towncars is very affordable. And when you need a ride back to the airport, we’ll get you there on time. Call us for effortless transportation to important meetings, business lunches or dinners – anywhere you need to go and socialize or tend to business en route. 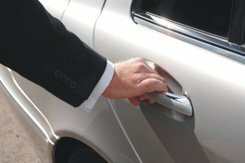 We’re also your go-to transportation company when you’re hosting high profile individuals who need privacy and security, as well as comfort and luxury. Affordable Towncar Service is a premier airport transportation services company in Charlotte, NC. We provide dependable service and competitive rates while offering efficient luxury airport transportation. We take great pride in providing the Charlotte, NC region with prompt, reliable, and courteous service as only Affordable Towncar Service can do. At Affordable Towncar Service, we’re more than Towncars. Much more! We can also provide you with SUVs, vans, mini buses – even a luxurious motor coach. Whether you want elegant transportation for yourself, you and your significant other, you and ten of your best friends, or the entire neighborhood, we have the vehicle you need. Vehicles to take you across town or across the state – in comfort and style. We can even provide handicap access vehicles. Airport Transportation to and from Charlotte Douglas International Airport, Whatever your needs, we’re your one-stop shop for transportation tailored to your desires. 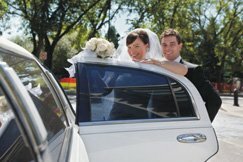 If you can think of the event, our limo service can provide the transportation. If you have a special and affordable town car transportation need, give us a call today! Tell us all about it, and we’ll come up with a solution. Don’t forget whether in a hurry to the airport, visiting a family member out of town or transporting a special client to a meeting, Affordable Transportation Service can take care of all of your airport transportation needs in Charlotte. We pride ourselves on getting you to your destination safely and comfortably.Our rates are always affordable and our customer service and drivers are always courteous and professional. Call us today for more information on our Charlotte airport transportation services.